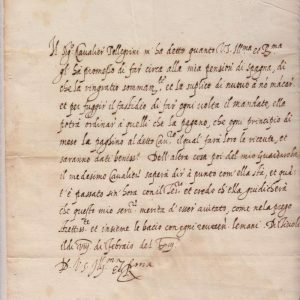 Giovanni del Monte was born in Rome in 1487, the son of a brilliant lawyer. He studied law at Perugia and Siena and became the chamberlain to Pope Julius II (1503 – 1513). 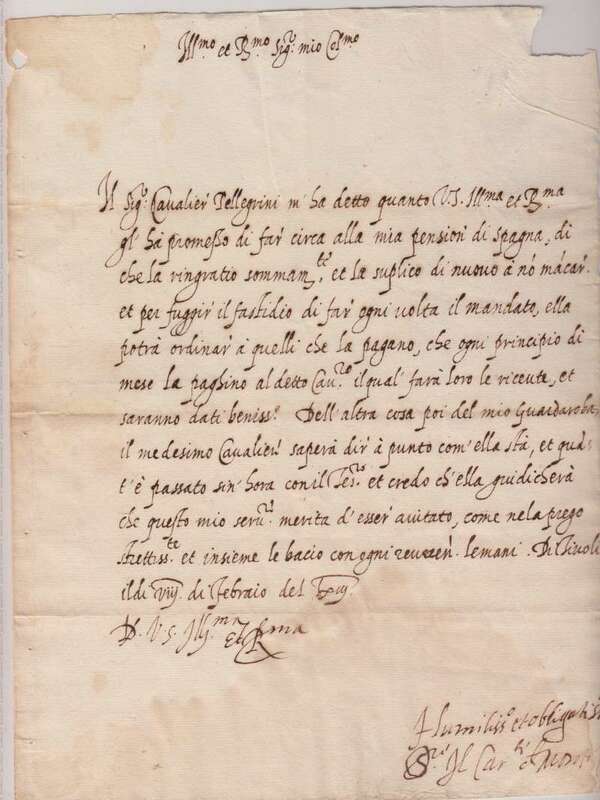 In 1511, at the age of twenty-four, he received the archbishopric of Pavia, followed by a bishopric in Siponto in 1520. He served twice under Clement VII (1523 – 1534) as the Governor of Rome. This was during the time of the sack of Rome in 1527 and he nearly lost his life in the process. 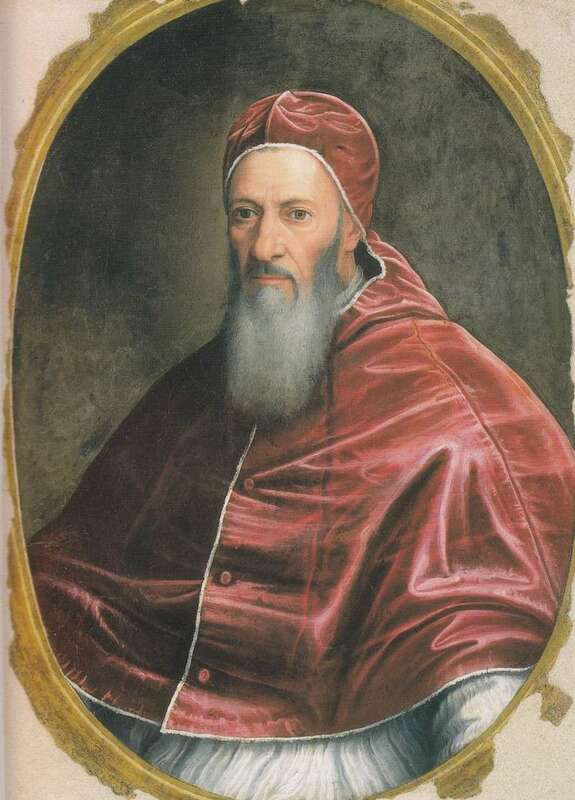 The next pope, Paul III (1534 – 1549) made him the vice legate of Bologna. It is significant that as a cardinal and as co-president and senior papal legate, he opened the Council of Trent in 1545. When in 1547, upon the instructions of Paul III, he transferred the Council to Bologna, he enraged Emperor Charles V.
Upon Paul III’s death, a conclave of forty-seven cardinals elected del Monte as their next pontiff amidst political intrigue and little spiritual motivation. 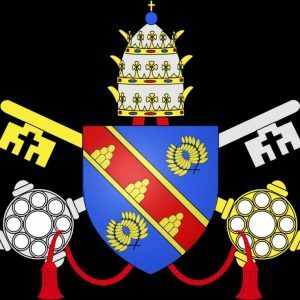 Even the conclave could not be called genuine in that contact with the outside world was maintained while a true conclave takes place within locked doors. Nevertheless, the Romans were overjoyed to have one of their own on the throne after 100 years without a Roman pope. He took the name of Julius III in honor of the pope for whom he had worked as chamberlain. Julius was sixty-two years of age at the time of his election. His papacy coincided with the start of the Jubilee year of 1550 and this was a pope attracted to the glitter and glamour of the papal court. He loved pleasure, banquets, gambling, masked balls and hunting. Nepotism was again rampant. He even had his brother adopt a street urchin whom many believed was his son, and he raised him to the level of cardinal despite his continuing dissipation. This youth, Innocenzo, died by the time he was forty-six years of age. 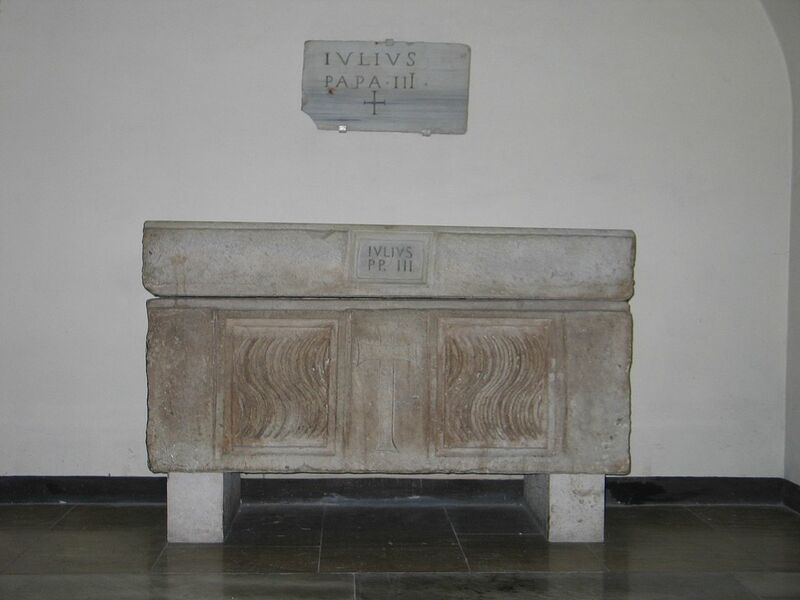 It is interesting that Julius’ lifestyle as a pope was so characterized by secular living since he had shown himself to be so rigorous as a student and strident while in service to the popes for whom he worked prior to his own pontificate. Once he assumed the office, however, this marked change in style prevailed much to the discredit of the papal office. Despite his own questionable conduct not all of his papacy was negative. In the religious sphere, he reconvened the Council of Trent in 1551, moving it from Bologna back to Trent. As always these decisions hinged on the Emperor’s personal preferences. The Emperor was pleased with this decision. He urged the Protestant princes to attend the council hoping to end the schism and bring them back to union with Rome. At this session of the council doctrines affecting us even to the present time were established. They included doctrines on the Eucharist, confession and Extreme Unction. Then the Protestants arrived and it became clear that these dogmas were impossible for them to accept. All hope for reconciliation was shattered. 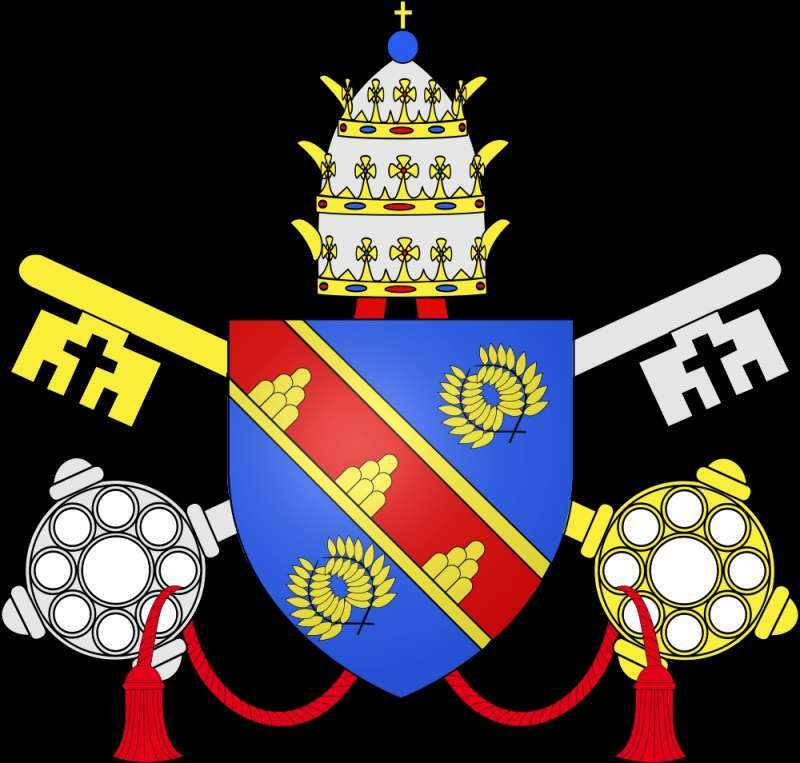 In the midst of a war over papal landholdings the council was again suspended for two years. However, Julius continued the work of reform confirming the constitution of the Jesuits in 1550. He founded a German college for the purpose of training German priests to restore Catholicism there. In 1553, with Mary I, a Catholic and the daughter of Catherine of Aragon and Henry VIII on the throne of England, he welcomed England back into the church. Though short-lived, this was one of the highlights of his papacy. True to his Renaissance nature, the arts and music flourished during his short pontificate. He fostered the Vatican library by appointing Cervini, the future Pope Marcellus II (1555) to serve as its scholarly librarian. Michaelangelo became the chief architect of St. Peter’s. One of the greatest Renaissance composers, Palistrina, became the choirmaster. Julius built the church of St. Andrea della Via Flaminia to commemorate his escape from death during the sack of Rome in 1527. His political alliances proved less fruitful. Always ongoing were the dealings between the French king—this time, Henry II– and the Emperor Charles V and the German princes. When Julius tried to take back land from his predecessor, Paul III’s grandson, Octavio Farnese, war broke out resulting in the council’s suspension once again. 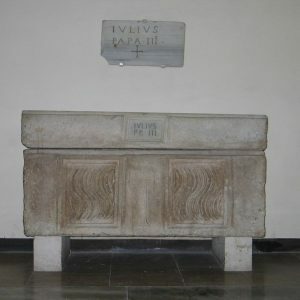 An assessment of his papacy can clearly be seen when upon his death in 1555, Julius was buried in a simple tomb in the Vatican grottoes since he was deemed unworthy of a mausoleum. In spite of a papacy held by a man ill suited to fulfill the spiritual needs of his time, reform continued and missionary work flourished. Not only was there Catholic influence in Germany, but also as he neared death St. Francis Xavier was en route to China after preaching in India and Japan. Franciscans and Dominicans were spreading the Gospel in the Americas. The life of the church was not crushed by his inability to lead it in a manner befitting such a holy office.